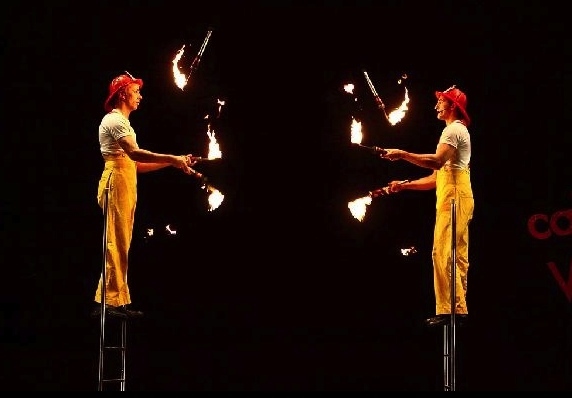 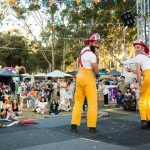 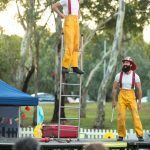 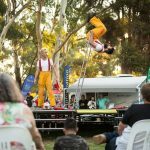 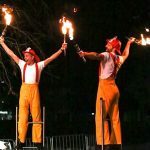 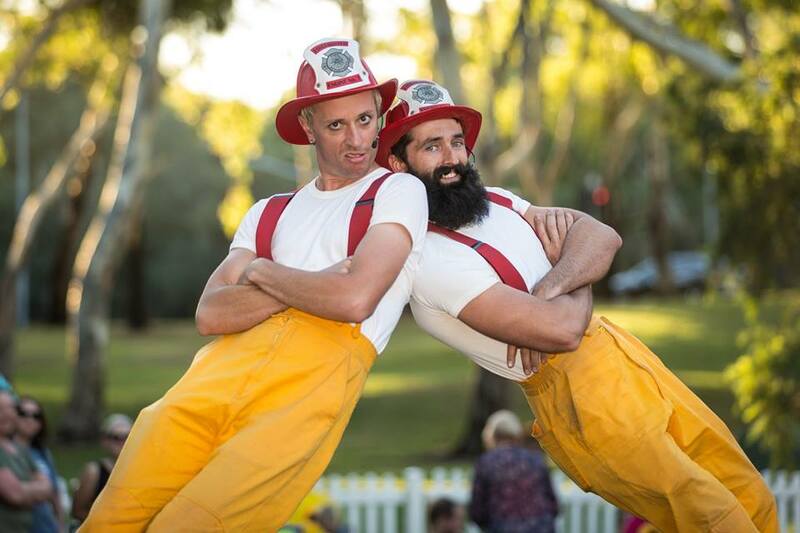 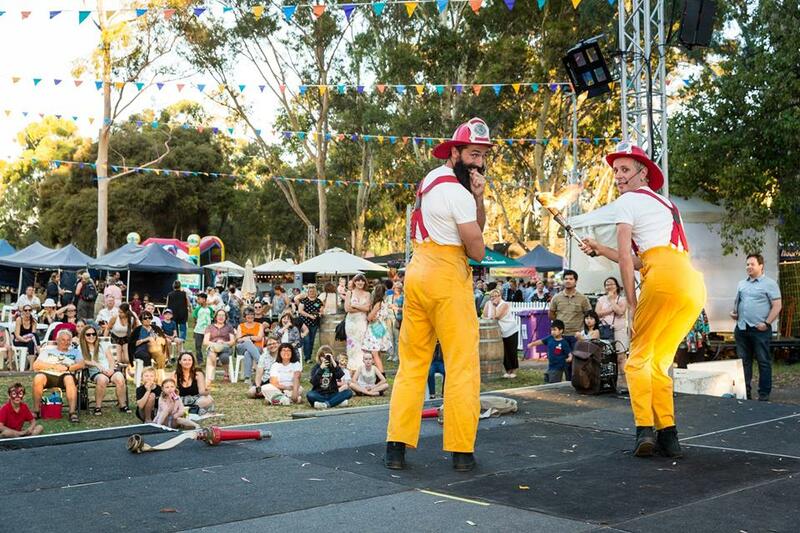 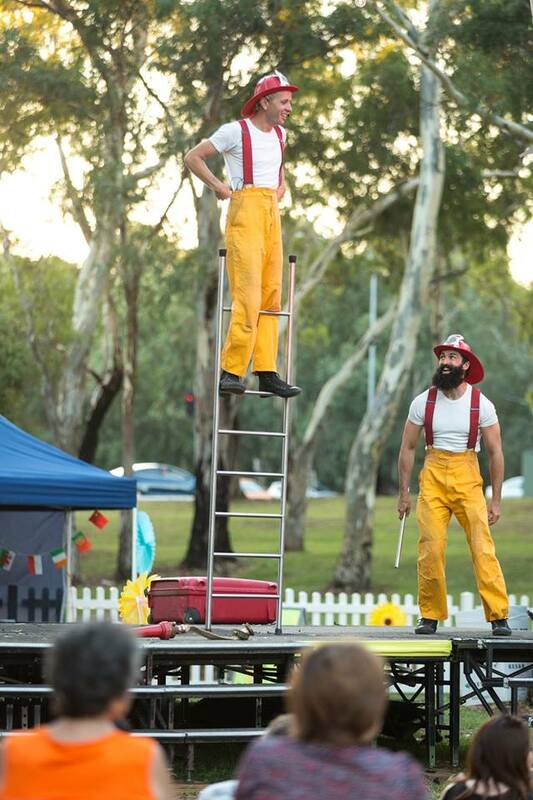 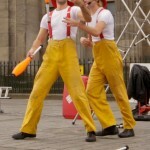 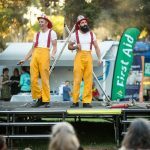 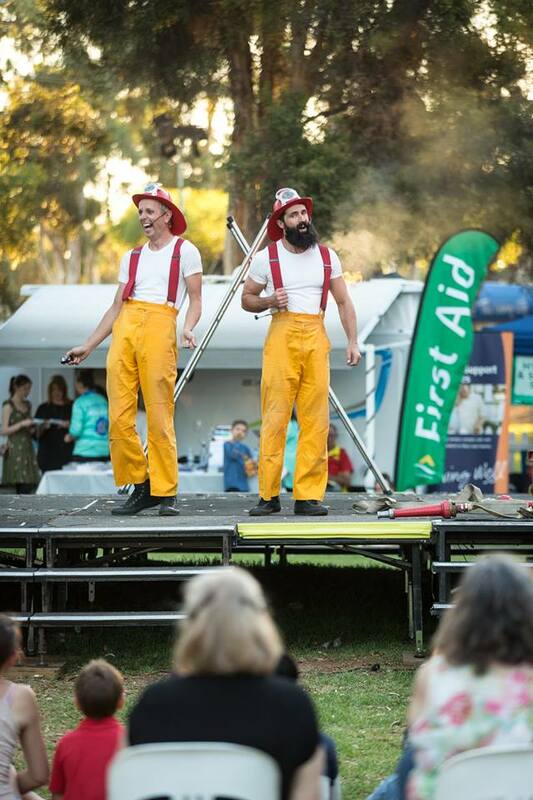 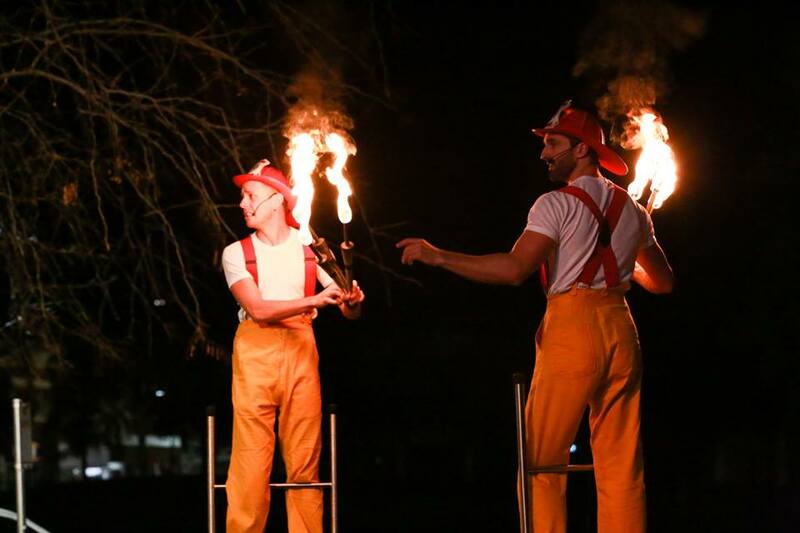 A truly hilarious and skilled comedy circus duo from Melbourne, the Circus Firemen present shows and roving that are full of fun, skill, energy, & excitement, and are thoroughly enjoyed by all ages. 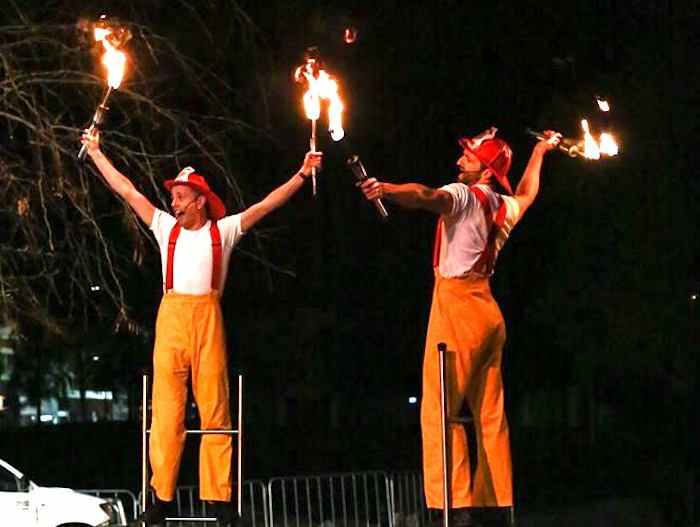 From acrobatics and juggling to precarious & spectacular balancing on walking ladders, & fire, this is a show not to be missed! 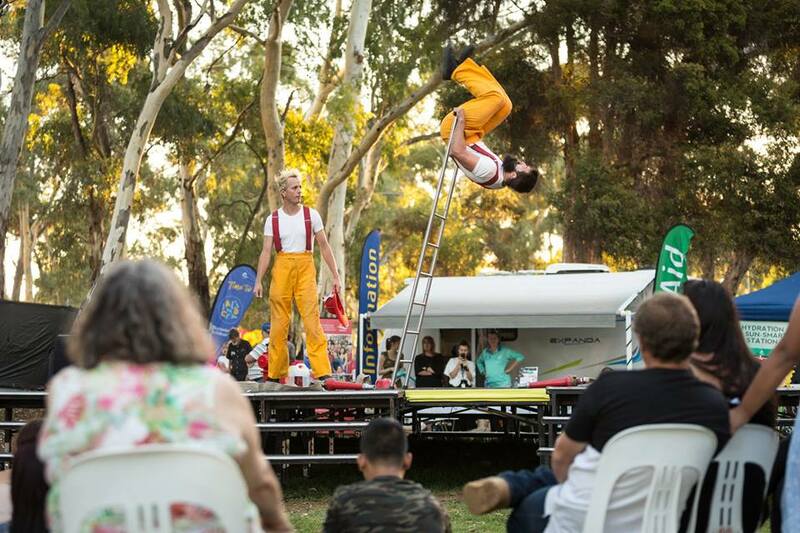 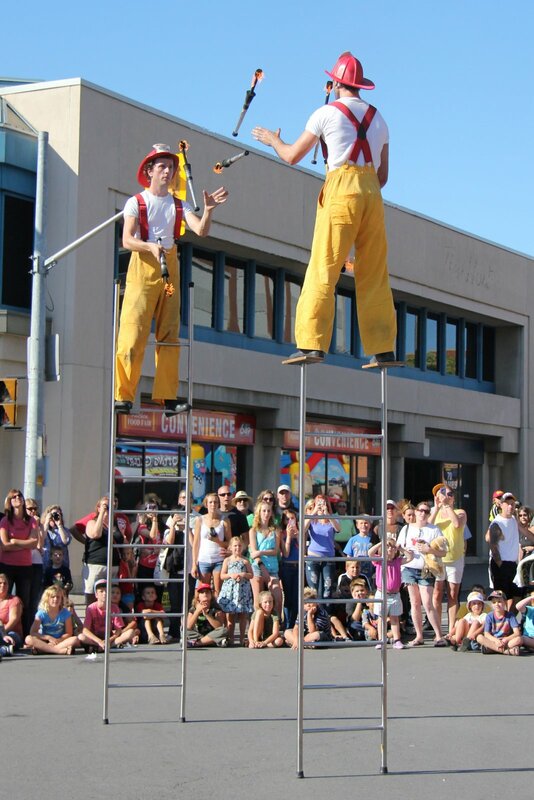 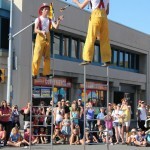 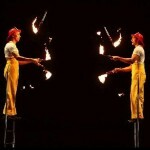 Both performers have a bachelor degree in circus from the National Institute of Circus Arts in Melbourne. 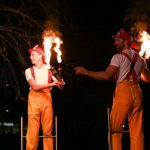 They have performed all over the world for more than a decade and offer a fabulous established show for all ages and cultures. 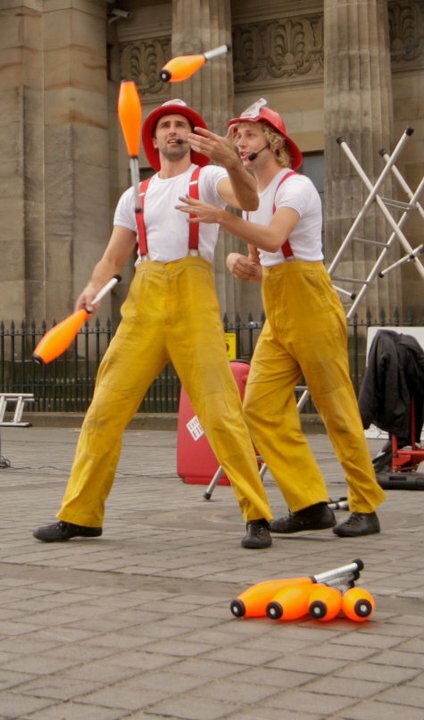 In 2010 they performed for the Crown Princess of Brunei. 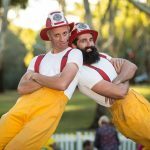 In 2011 they became ambassadors for Vegemite as they set world records with their circus skills including: longest 2 person cartwheel, longest distance walked on a ladder, longest time passing 6 juggling clubs standing back to back and the most catches of 3 balls juggled upside down while suspended from another person.